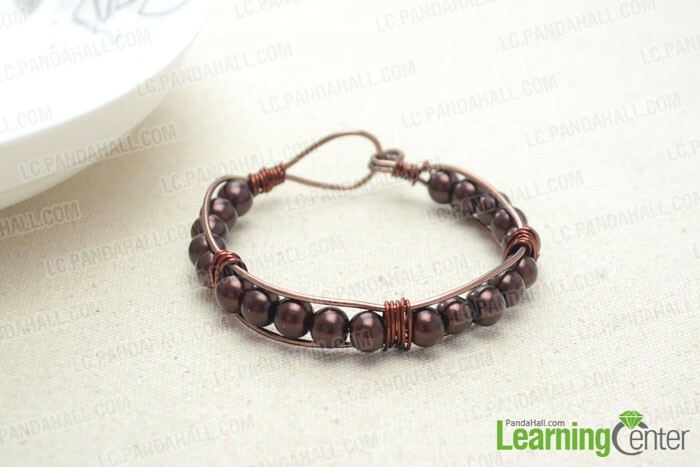 Summary: This wire bracelet making project is specially prepared for those beginners that learn how to make cool bracelets with beads and wire. Merely 15 minutes required! This amazing beaded wire bracelet is entirely handmade with care. 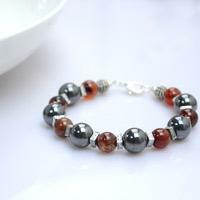 All elements in a dark brown hue give this bracelet a cool as well as stylish look. 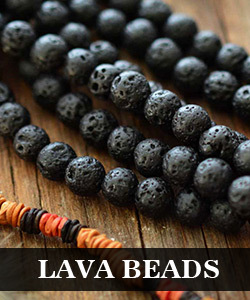 What’s more, the steps are so easy that we shall it here as a beginning project on making bracelets with beads and wire, without any hesitation! Hope you’ll enjoy the 15 minutes! 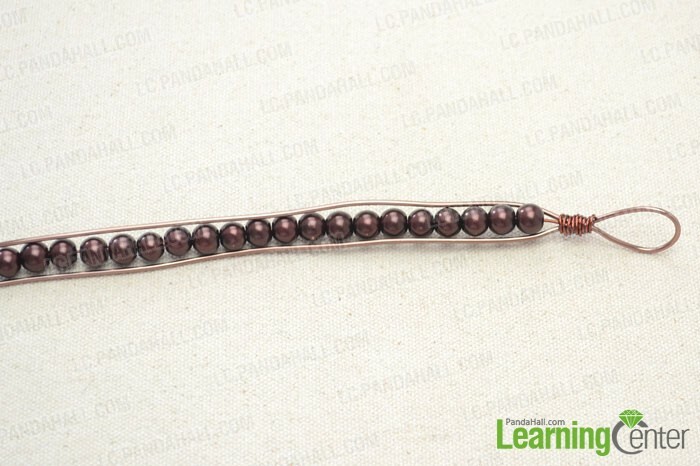 How to make bracelets with beads and wire? Step 1: Cut a 45cm piece of 0.8mm brass wire. Then string 21 pieces of 8mm acrylic pearls on. Step 2: Cut a 40cm piece of 1.5mm aluminum wire. Take a mandrel and create a loop at center location. Step 3: Wrap the beginning 15cm wire of beaded strand next to the crossing of aluminum wire ends. 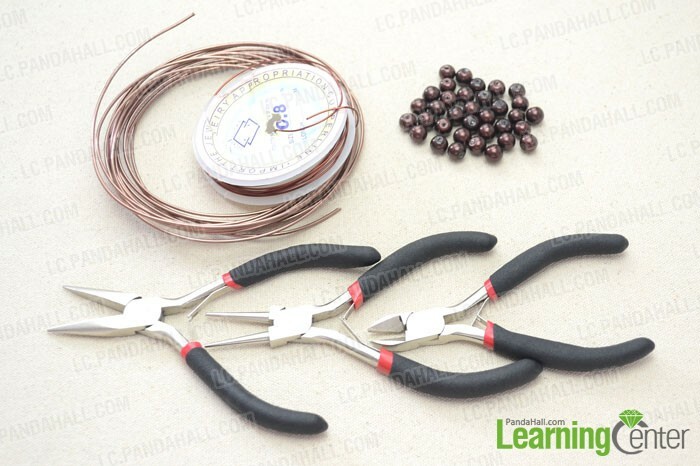 Step 4: Cut another 3 lengths of 0.8mm brass wire to approximately 8cm and wrap between each five acrylic pearl beads. Step 5: Wrap the remaining 15cm wire of beaded strand to hold the aluminum wire ends as did before. Step 6: Loop the sharp ends inwards and then bend the rest aluminum wire into a hook. Step 7: Shape the bracelet around a cylindrical box. 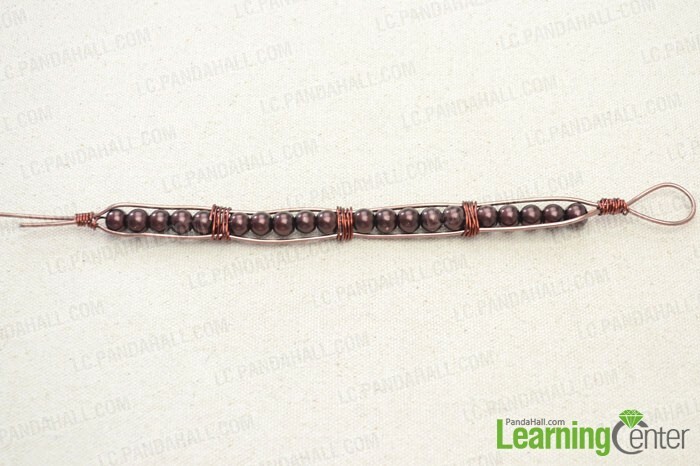 So, you've finished your first course on making beaded bracelets with wire. How does it feel? These metallic pieces are always cool and unisex to make great gifts for friends! 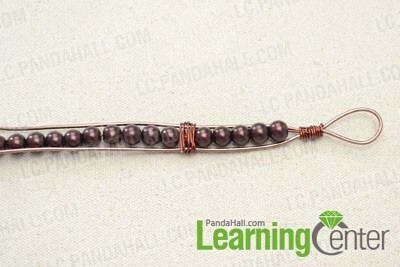 For more wire bracelet making tutorial, please pay your attention to our pandahall.com!